The market is full with so many products that are “not safe”, as for Eczema sufferer or you with sensitive skin : Fragrance, Soap, Paraben and other harmful ingredients are strictly forbidden. But finding products that excluding them is also a hard task. We have to be a detective every time we step into a supermarket, haven’t we? And here are some body care products that i have used and still using until now which i find safe for my body and skin, after some time of searching and trial of course. 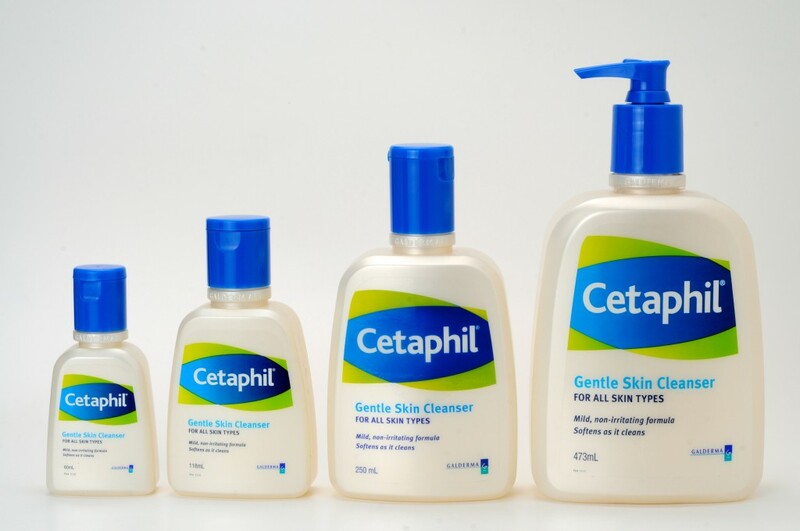 I use Cetaphil body & face wash on every bath time until now. Well, since there is no fragrance inside ,you won’t get a flowery or fruity smell as you usually get, but using this soap really soften my skin and it is very safe even when my skin was inflamed. Ingredients : Water, cetyl alcohol, propylene glycol, sodium lauryl sulfate, stearyl alcohol, methylparaben, propylparaben, butylparaben. It’s also Alkaline Free, Non-Comedogenic, Fragrance Free and Lanolin Free. Vaseline Petroleum Jelly is one of the things that i bring wherever i go. Use it for my face, lips and skin and it’s really awesome with it’s benefits. Especially when i have Candidiasis on my Face and Lips. It was all over my face and lips, i apply this petroleum jelly for maybe days or around a week and they are all healed step by step. These days, when i feel that my lips or face are starting to get itch or rash, i’m just applying it on the night – and it will be perfect by the morning. Virgin Coconut Oil has so many benefit for our health. Drinking 1 tbs a day can boost our immune system, cleans our digestive organs, reducing body weight, reducing diabetes level, higher our HDL level and reducing our LDL level, anti-inflammation, fighting against cancer cell and other viruses. And applying it on the skin can soften your skin and since it has anti-inflammation benefits, you can also apply it straight to your inflamed skin. I use VCO when my skin were so inflamed, as this is the only thing that i can use when all my scars are oozing and i have proofed it to be safe and great for health. 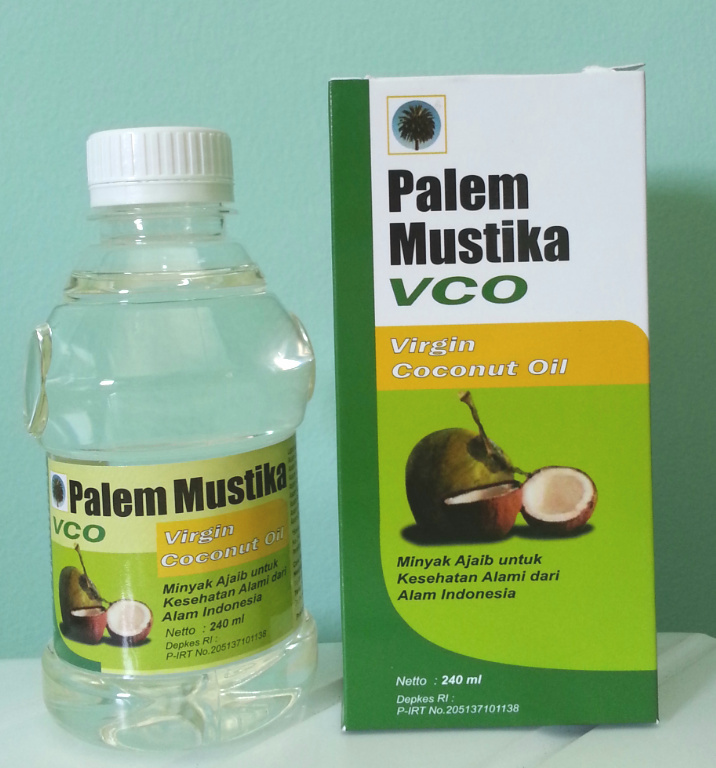 It is best when it is made from the real natural coconut, but it will be a little yellow in color and harder to make, so i choose this Palem Mustika Virgin Coconut Oil that you can find it in stores (Indonesia). It has coconut smell and feel a little oily on skin but not for a long time, so you won’t get all oily all day long. After my skin were healed from the inflammation i begin to use lotion instead of oil as it is more comfortable. As i am having my time at the mall i found this Corine de Farme body lotion and interested on the “96% of natural origin, Hypoallergenic and Paraben Free” and decide to try it . And after using it, i find it’s safe and soften my skin. As it is more mild, it makes my skin breath when applying it. Best use it straight after bath. and don’t worry as it smells so nice, not too strong in fragrance but it’s nice. Before i had Severe Eczema on my body, i had Dyshidrotic Eczema on my hands. I found Corine de Farme Hand Cream before the body lotion first, finding it’s amazingly great and safe for my hands, i believe then the body lotion will also safe. It is hypoallergenic, 96% natural origin and also paraben free. My dishidrotic eczema was come and go, every time i started to touch the “harder” soap, my hands would start to get itch and blisters. This Hand cream never leaves my bag, use it every time after washing my hands and no more Dyshidrotic Eczema since i use it daily. If you have Dishydrotic Eczema, my tips are don’t wash your hands to often, use hand cream everytime you wash your hands, don’t use “harder” soap and shampoo as it will touch your hands also and never scratch it till’ it pops! Dermatitis Seborrheic sometimes are just one of “dandruff problem” but for me it was so frustrating as i had some serious Serborrheic that caused swollen lymph nodes of mine. I had to go to the doctor to ask for medicine because my swollen lymph nodes felt hurt and my hair and head already so oozing because of the inflammation. Then i use shampoo that includes ketoconazole from the doctor, it was then better but come back again until i try this Sebamed Anti Dandruff that includes Pircotone Olamine that fights against Dermatitis Seborrheic. As i learned that Seborrheic is not about your cleaning routines as many people think that maybe it is about we don’t clean enough, as it is an Eczema, it has something to do with your system inside your body. And same with other Eczema, never scratch it, it will be worse when you start scratching it. You can start washing your hair twice a day with this Sebamed or other shampoo that has Pircotone Olamine on them. I am now free from Seborrheic and still using this Sebamed as my daily shampoo to keep it healthy. Well that is my list of some of my body care products, they are suitable for me but of course i don’t guarantee that it will be suitable for you too as every skin and body needs are different one another but i hope that for you who are struggling with sensitive skin or eczema could find something worth to try from this list. As you can see there is no all natural products on these products, we still can find some ingredients that maybe harmful for some sensitive skin like SLES (Sodium Laureth Sulfate) or parfum, but as i have tried them all and find it safe for my sensitive eczema skin. Alooo sisss…. Bisa Minta di kirimin ebook ttg eczemanya yg dlm bhs indo??? Thanks alot..
Oia,have u a recommended doctor or skin clinic for these eczema? Hi. Boleh minta ebook nya? Hi sis.. boleh minta e book nya yg dlm bhs indo.. tolong kirim ke uchie_tan@yahoo.com thanks before. Hai sist.. Kesaksiannya sangat menguatkan krn kondisi sy saat ini seperti itu. Sist aku boleh minta ebook untuk eksimnya yang versi indo. Bisa dikirimkan ke alamat email aku ya. Ka .. aku minta ebook nya versi b.indo ya . Thanks ..
Halo sudah dikirimkan yah. Semoga membantu. Utk elimination diet memang butuh pengorbanan – if medicine can not help, you have no other way than to sacrifice for a healthy life. Dan jangan pernah berhenti berharap aplg seorang mama yg anaknya eksim. Kalau mama sy menyerah saat itu, hari ini mungkin sy uda bunuh diri melihat kondisi sy. Tapi karena mama stands strong, i have to stand stronger. Selamat sore mbak.. Saya boleh minta ebook dalam bahasa Indonesia ny? Saya lagi kena eksim basah, seperti di foto mbak. Stres banget liat kondisi kulit seperti ini. Terima kasih banyak sebelumnya mbak..